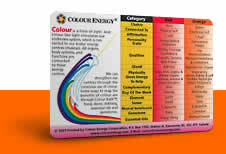 Chakra products to enhance & help facilitate a better quality of being in all areas of life. 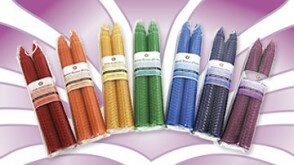 All-natural and colour-coded beeswax candles are an inspiration for any chakra meditation. Use to create an ambience of energy. Enhance your meditation time using tools that assist you to deeper levels of devotion, contemplation, concentration and consideration. 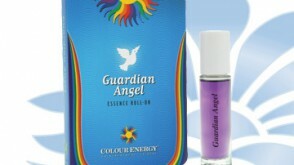 This high vibrational flower essence is designed to protect you from intrusive energies. 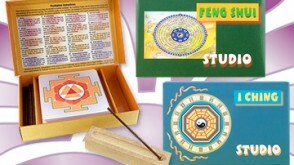 Use to increase positive energetic response and attraction. 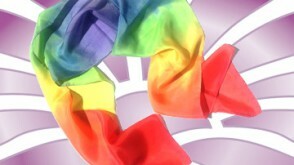 The historical value and sensual texture of silk has enchanted the world for centuries. Enrich any outfit with a chakra's colour vibration. 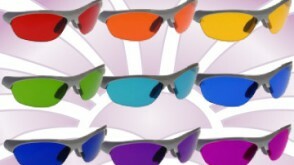 Colour Therapy Glasses use the life enforcing principles of the sun's light for chakra regeneration and strengthening. View the world in colour! The beauty of Unconditional Love helps to build up a pure vibrational intention of love on the highest level. Use for any chakra issue. 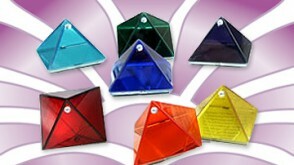 Our journey through the chakra system ends with the Crown chakra. Its Sanskrit name, Sahasrara means "thousandfold." The Crown chakra is depicted as a thousand-petaled lotus flower and it resonates to the color violet. The Crown chakra governs our spirituality, taking us towards enlightenment, self-realization and the Divine Self. It is the energy center that stimulates our inspiration and knowingness! The violet Crown chakra opens us up to the possibilities of infinity and Divine purpose. Without power in our Crown we are missing the universal connectedness and without this link we lack the highest human ideals; however, with a strong Crown chakra we are joined to the life thread that links us to heaven! When we have problems in the area of our pituitary gland, endocrine system, cerebrum, central nervous system or lymphatic system-it generally indicates low Crown chakra energy. Likewise, if we are fanatical, faithless, intolerant, lacking inspiration or experiencing difficulties while trying to quiet our mental mind, it is time to boost our violet energy to give power to our Crown chakra!